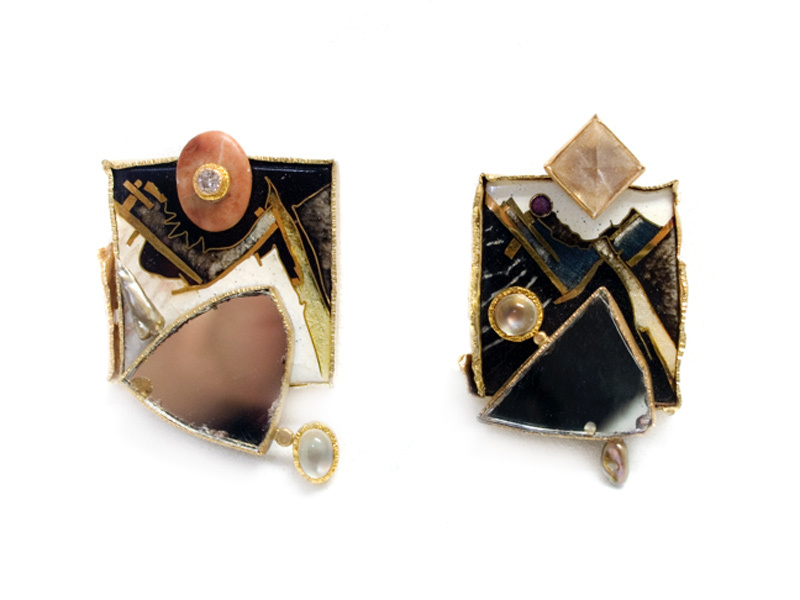 Day: 1.25" x 2.5" Night: 1.5" x 2.25"
Gold cloisonne enamel on fine silver and fine gold, 14k gold, 24k gold, tourmalines, moonstone, pearl, mirror. 1981. Necklace. String of beads with detachable pendant. 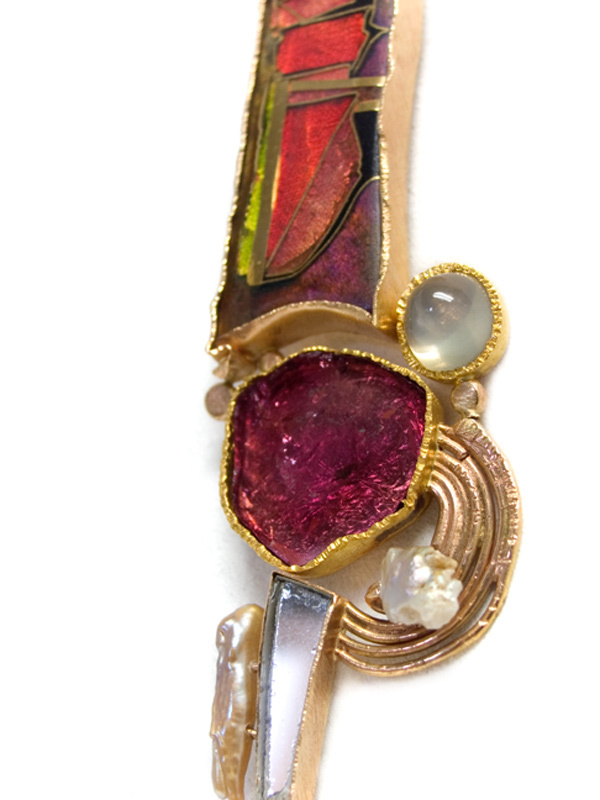 Gold and silver cloisonne enamel on fine gold, fine silver, copper, 14K gold, sterling silver, garnet, tourmaline. Signed. Beads: 18.2" long. 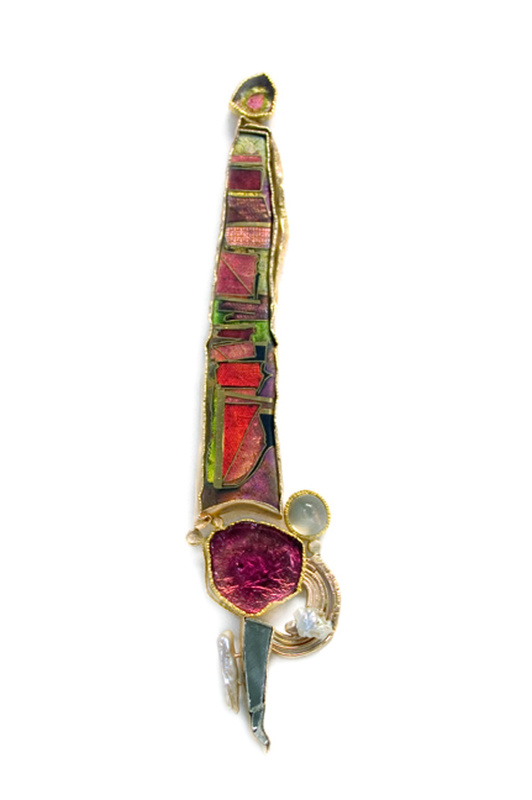 Pendant: 5.4" x 3"
1988. Brooch. Gold cloisonne enamel on fine silver, 14K gold, 24K gold, sterling silver, opal, pearls. Signed. Pictured in the catalogue. The Art of William Harper. June 2 - July 3 1981. Kennedy Galleries reproduced on the title page.